New plans will see Brisbane’s Victoria Bridge allocate space to improve cyclist and pedestrian access into the CBD as part of the greater $944 million Brisbane Metro project. The new design for Victoria Bridge will reconfigure the number of metro and bus lanes from four to three, and includes the dedicated off-road cyclist and pedestrian path. The new bridge design to accommodate Brisbane’s major Metro project, and Brisbane City Council’s largest public transport project, will follow public consultation. Lord Mayor Graham Quirk says construction of Brisbane Metro is fully funded, with a $300 million investment from the federal government, and construction set to start next year. 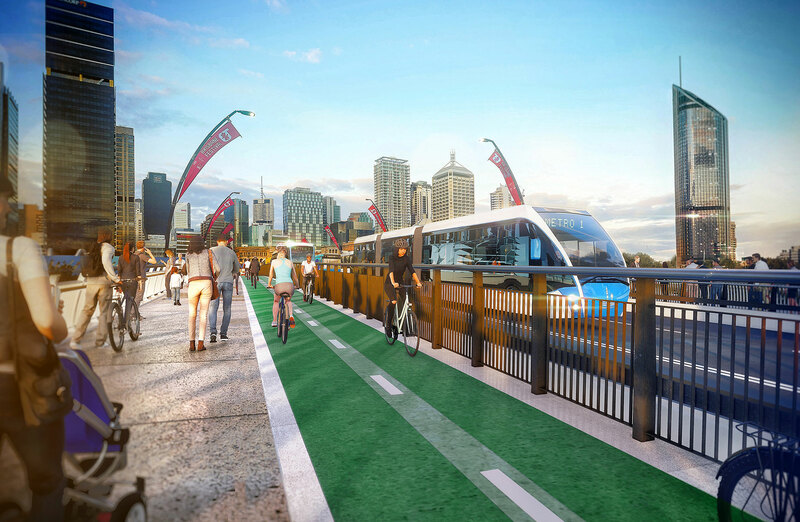 “The removal of general traffic from Victoria Bridge and the conversion into a ‘green’ bridge was always proposed as part of Brisbane Metro and feedback from the community supports this approach,” the Lord Mayor said. Victoria Bridge will be closed to public traffic when metro construction begins. Council is currently evaluating expressions of interest from five consortia to build the inner city infrastructure for the Metro before releasing a short-list to commence the tender proposal phase later this year. The final contract will be awarded by the end of next year. 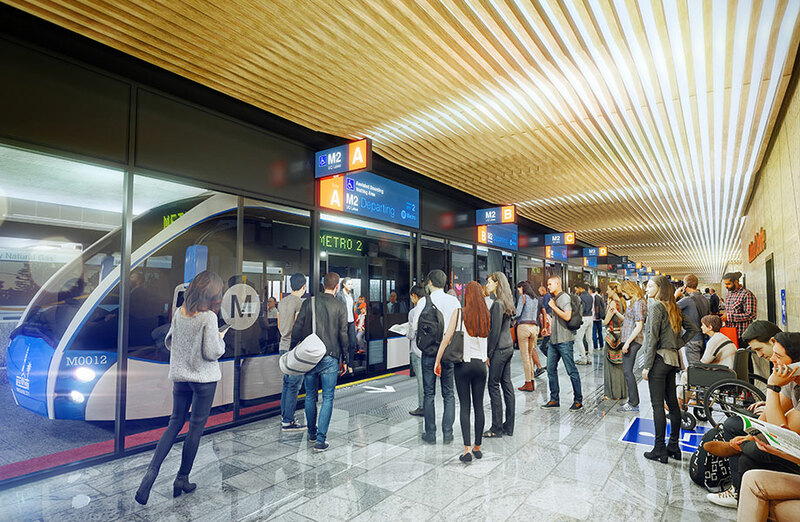 The Brisbane Metro’s underground station at South Brisbane’s Cultural Centre will cost $315 million, about a third of the metro’s $944 million budget. Deputy Mayor Adrian Schrinner said community feedback would continue to play a role in the major project with further community consultation in South Brisbane, West End and the CBD, encouraging residents and businesses to have their say on the transport project. 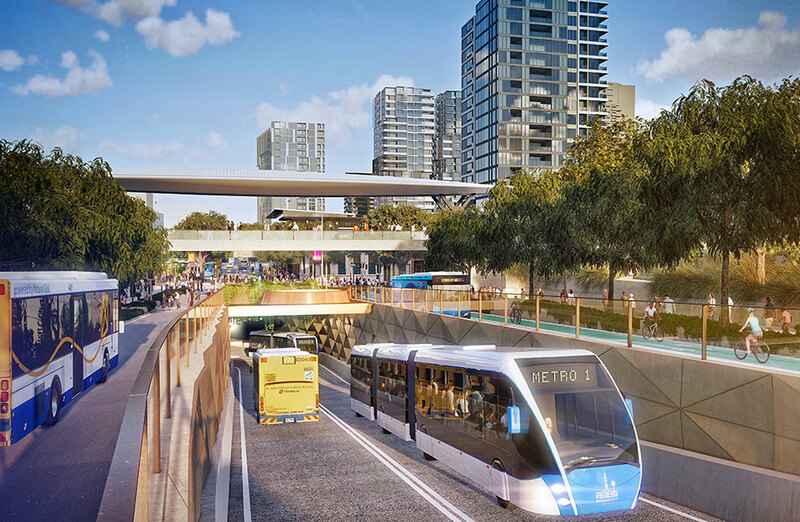 Brisbane Metro services aim to commence in 2023.